Need to get rid of Odorous House Ants? The odorous house ant (tapinoma sessile) is a special type of ant that is also known as a “stink ant” or “coconut ant”. They are social insects that are complex foragers and allot portions of food depending on a variety of environmental conditions. They are also competitive and compete with other species. They live in colonies that consist of multiple nests that contain multiple reproducing queen ants. The larger colonies can range in size from a few hundred, to tens of thousands of ants, with the bigger colonies having multiple queens. These ants are found in various habitats, including homes. They mainly focus on finding honeydew that is produced by aphids and scale insects that are guarded by the ants, but they are also known to forage for sugary foods and floral nectar. House ants are attracted to moisture and tend to build their colonies near heat sources. Indoors, they can be found in house plants, and outdoors, they tend to be under rocks or under exposed soil. The odorous house ant is described as ranging in color from black to brown and can vary in length from 1/16 to 1/8 inch with antennae that have 12 segments. There is not a lot of information on how long their lifespans are, but it has been discovered that queens can live at least 8 months, and probably longer, and worker ants at least a few months. Male odorous ants live only a week or so. They are mainly seen during the late winter and early spring, especially after it rains. These ants are hard workers that are tough, even if they’re injured. Injured ants can be seen working and living, with little to slow them down. Some queen ants with crushed abdomens can still lay eggs. Some queens have been shown to survive with no food or water for at least two months. The odorous house ant is also able to adapt to extreme temperatures of hot and cold, and when killed, they will leave a smell that lends their nickname “stink ant.” The odor has been likened to the strong smell of bleu cheese, turpentine, or coconut. 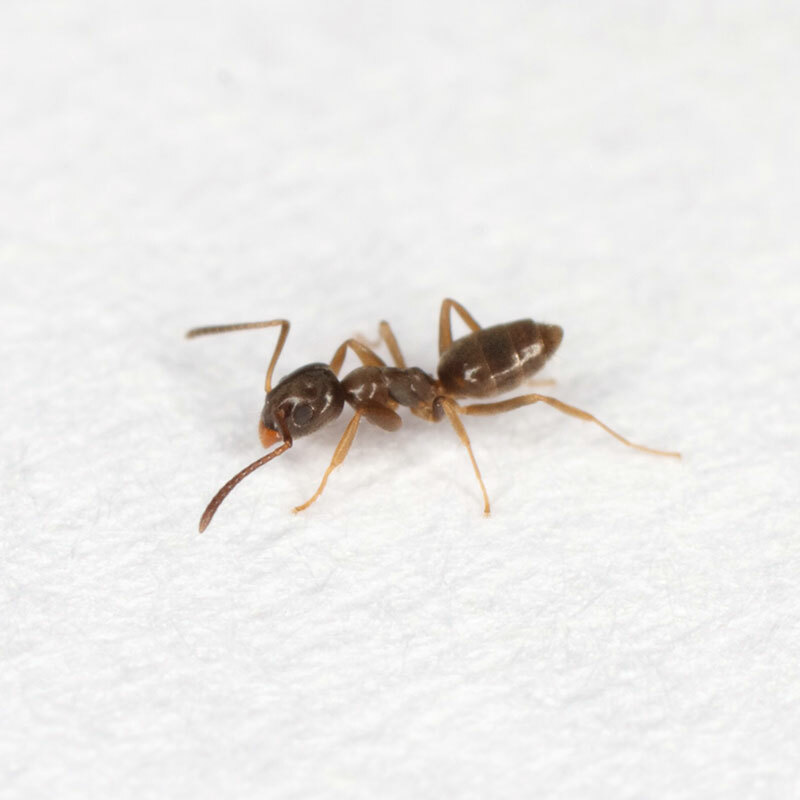 Do you have an ant infestation in your home and need help getting rid of them? Call our team at The Bug Man and we can help control any ants that are continually returning and bothering your home or yard. We come to you and cover the Portland metro tri-county area. Call us at (503) 284-6269.